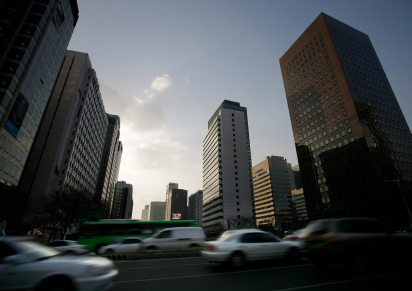 On May 24, Washington state entered a driver license reciprocity agreement with the country of South Korea. The agreement was signed by Licensing Director Liz Luce and South Korean Consul General Young-wan Song at a ceremony attended by Governor Chris Gregoire. The agreement recognizes that, based on similar driver license testing procedures, drivers from both places are similarly qualified to drive. Director Luce said this creates an opportunity to streamline a process. Likewise, South Korean citizens with driver licenses who come to live in our state will be allowed to get a Washington license without retaking driving tests here. Gov. Gregoire pointed out that South Korea is our state’s fourth largest export market and said this agreement will strengthen our state’s bond with this important international partner. Washington state has similar driver license reciprocity agreements with British Columbia and Germany. Nearly 400,000 Washington vehicle owners have signed up for e-mail car tab renewal reminders, allowing them to renew with a couple of mouse clicks from home. We’re working to make things more convenient and efficient for citizens. It’s all a part of our 21st Century Business Model. Sending paper renewal notices costs about $3.5 million every year. Not everyone has access to e-mail, but a significant amount of vehicle owners do. You can sign up at our website, and you’re just a couple clicks away from renewing online the next time your tabs are due. It’s convenient and it saves money. Through this process and a number of others that we’ve started, we also saved a lot of paper in 2010. Equal to twice the height of the Space Needle! We’ve been working to expand our online offerings for some time to reduce your need to come to a driver licensing office. Last year alone, about 220,000 people took advantage of our website to renew their driver license. The Washington State Patrol chief and DOL director Liz Luce announced a major motorcycle safety outreach campaign for this summer, geared to reduce motorcycle-related injuries and fatalities. Last year, 67 motorcyclists died on Washington roads, a slight increase from 2009. DOL’s “Look Twice, Save a Life” campaign will reach millions of drivers across the state and about 24,000 unendorsed motorcycle owners. Gov. Gregoire also issued a proclamation declaring May as Motorcycle Safety and Awareness Month. To legally operate a motorcycle on Washington roads, riders must have a driver license endorsement—or they could see their bike impounded even after a simple traffic stop. You are currently browsing the Licensing Express blog archives for May, 2011.